We are leading manufacturer, wholesaler and exporter of Industrial Springs. M.coil has many years of experience in designing and producing special purpose springs from round, flat or square material. We can produce custom or production orders of any type of Clock Springs. 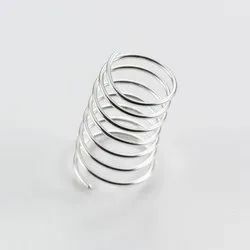 We manufacturer and supply our range of heavy duty Spring Rings. These are provided in different sizes and dimensions as per the requirements. 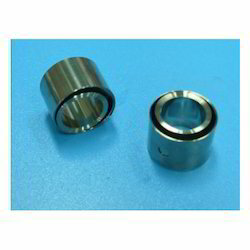 The entire range of spring rings are fabricated from fine grade raw materials. These bear some striking features like durable and abrasion resistant. With our firm commitment towards excellence, we are able to offer Switch Spring. Widely used for manufacturing various electronic products, components & switches, these springs are widely demanded in the prevailing market. We make use of high-end CNC spring machines and latest equipment for manufacturing these unmatched quality products. M.coil has many years of experience in designing and producing special purpose springs including Volute Springs from round, flat or square material. 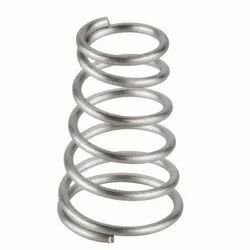 We can produce custom or production orders of any type of spring. We offer high-performance constant force spring that are manufactured using qualitative steel. 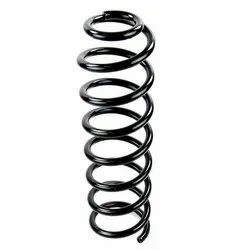 The Constant Force spring exerts a nearly constant restraining force to resist uncoiling. It functions just like a gliding movement in a continuous way. With constant-force springs considerable flexibility is possible as the load capacity can be multiplied by using two or more strips in tandem. We tailor made the constant force springs as per the requirement of our clients. A tightly coiled wound band of pre-hardened spring steel or stainless steel strip. When extended a constant force is exerted and this is maintained as the spring is allowed to close. The full force is effective until the spring is in the fully closed position. 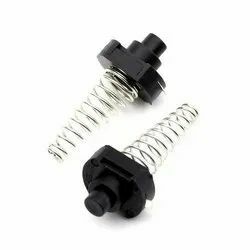 This spring type derives its name from its ability to extend through its full working length while being maintained in any position by the same force. Constant force springs are available in a wide variety of sizes and the recent introduction of a purpose-built plant ensures the price competitiveness of the smallest production run. Emmott is one of the UK's most experienced manufacturers in this highly specialized field. We bring forth a wide range of Automobile Springs for suspensions, which find wide applications in offering good compression and cushioning elements. The springs, we provide are efficient, 100% safe and reliable for stamping, punching and drawing dies. It is noteworthy that our products comply with the international quality standards. We are involved in providing Barrel Springs to the clients. These products are manufactured using superior quality carbon, stainless steel, copper & beryllium copper wire and technically advanced machines. Our products are manufactured under the visionary guidance of our experienced quality controllers. We also offer customization of these products as per the specifications provided by the clients. Battery Contact Spring are one of the most prime needs of several automobiles. These battery contact springs provide a much reliable suspension and a desired compression to the vehicles. Our company with its past several years in this line of work has gained enough expertise for the manufacture, supply, export and wholesale of these most stunning quality battery contact springs. We manufacture superior quality Clutch Springs. 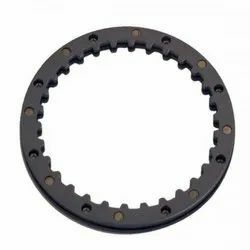 A clutch is a mechanical device that provides for the transmission of power (and therefore usually motion) from one component (the driving member) to another (the driven member) when engaged, but can be disengaged. Clutches are used whenever the transmission of power or motion needs to be controlled either in amount or over time. We hold expertise in offering a superior quality range of Stock Coil Springs. This range is manufactured utilizing premium grade raw material and highly advanced machines, handled by diligent engineers. Also, these stock coil spring is ideally utilized for cushion, absorb & springs and control the energy either due to shock or vibration. The stock coil spring offered by us is widely appreciated in the industry for its fine finishing, corrosion resistant and high strength. Corrosion free & mechanical stable. Continues to exert constant pressure. We are an ace manufacturer and supplier of a wide gamut of Custom Springs. These are manufactured as per the industrial need and are best known for smooth and reliable functioning. 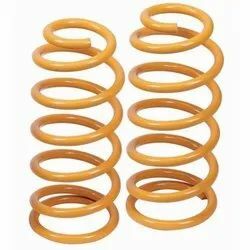 These springs are plated with smooth and high quality coatings and are acclaimed for high performance. 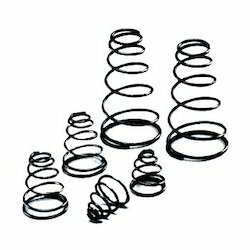 Our customers can avail from us an excellent quality range of Die Springs. 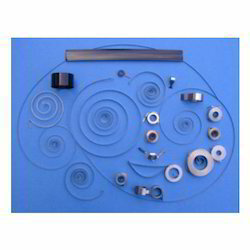 These Die Springs are available in various sizes and specifications. Disc spring are conically formed annular discs, which are loaded in the axial direction. Disc Springs offer a well-developed solution to many engineering problems through a unique combination of high force in a small space. Disc Springs can be used as single disc or arranged in stacks. 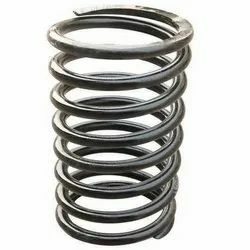 A spring stack can consist of either single spring or parallel spring sets. We are engaged in manufacturing, wholesaling and exporting of wide range of Hot Coiled Springs which are widely popular for their high corrosion resistance, long operational life and sturdy construction. We have dedicated an entire section of our huge infrastructure to quality control unit where various tests are conducted on all the products to ensure that they match the set quality standards. All our products are also are available in customized forms at very reasonable prices. 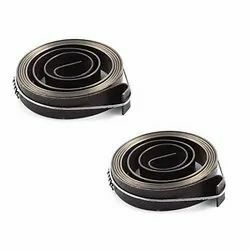 We supply superior quality of Hot Wound Springs that are available in diverse material specifications. We also provide facility of custom manufacturing them as per clients’ specifications. 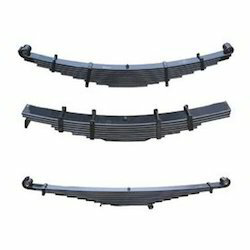 We offer Leaf Springs, which are durable and can endure a lot of load. 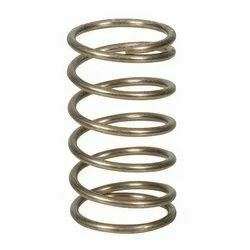 These springs are specifically designed and engineered according to the load and endurance factor. We offer these to the clients at market leading prices. We hold industry expertize in manufacturing, wholesaling and exporting comprehensive range of Mechanical Springs that offer efficient solution to meet various demands of the industry. These springs are extensively used in heavy industrial applications and where self-closing lids and doors are required. Our designing unit provides effective solution to our clients at affordable price. We are efficient in processing bulk orders. Innovation is our forte and we strive to manufacture, wholesaler and exporter a precision engineered range of Metal Spring. Manufactured in accordance with industry laid standards, these metal springs are extensively used keep the bolt joint in position and holding it tightly. To manufacture these metal springs, our professionals make sure to utilize premium quality material and follow the established standards of the industry. We are the manufacturer, wholesaler and exporter of all kind of Plunger Springs. We assure you best quality at very reasonable price. We have experience of manufacturing barrel springs numerous years. All our technical departments and our expert will provide special attention on your specific requirements and also provide after sale service. 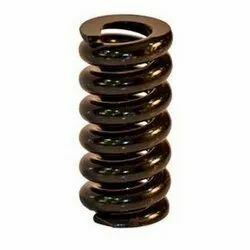 We bring forth for our clients a qualitative assortment of Power Spring, which is well known as clock springs store. These springs release energy in the form of torque. Precision engineered, these springs are designed using rectangular section material and strips with special retaining holes & bends on both the ends. We offer an extensive range of Precision Coil Spring to our esteemed clients that are widely demanded for its durability. These springs are coiled appropriately. This product maintains the force between two surfaces and has high bouncing ability. Our products are available in various designs and patterns that are precisely accurate. This product can also be customized as per specific clientele requirements. 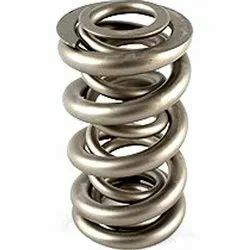 We offer a wide range of premium quality seat springs that are extensively used in automobile industries, automotive industries, etc.The seat springs are a proven and reliable method of counterbalancing large covers and objects. They offer ideal capabilities for safely lifting, lowering and positioning heavy or cumbersome objects. 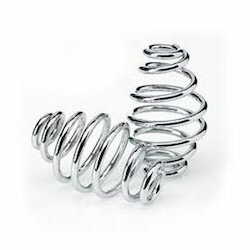 Suspension Coil Springs are produced in a cold state, using spring wire with highest tensile strength. The cold forming process imparts high flexibility in the spring design. Thus allowing for adaptation of the geometry to any suspension strut or axle cinematics without making it necessary to use special dies. In addition to cylindrical springs, lateral force compensating side load (SL) springs are also produced. To retain our goodwill in clients' consideration, we are providing an excellent range of Constant Force Springs. The offered springs are used for cable retraction and power generation, etc. Making use of supreme quality material and sophisticated methodology, the offered springs are perfectly manufactured under the direction of our qualified professionals with utmost care and perfection. In order to ensure their quality, our quality examiners test the entire range of springs on several measures of quality in sync with set industry standards. In our extensive product range, we are highly engaged to provide a quality approved range of Constant Force Springs. These constant-force springs are the springs for which the force exerts over its range of motion is a constant. Our skilled workforce manufactures these springs from optimum class material and cutting-edge technology in compliance with predefined market standards. Ahead of their final dispatch, these springs are inspected by our quality controllers on various parameters of quality. With enriched industrial experience and knowledge, we are providing our clients with a wide assortment of Valve Springs. Designed with utmost precision, the offered springs are properly manufactured using quality assured raw material with the assistance of pioneered technology in tandem with set industry standards. 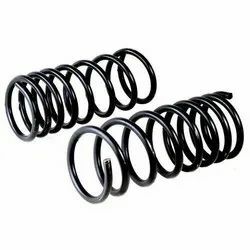 These springs are available in several compression levels and in wire diameters. In addition to this, our provided springs pass through several tests in order to ensure their defect free delivery at the client’ end. 304 or 316 Stainless Bar ASTM A276 Condition "B"
We supply premium finest quality Steel Springs that is widely used in machines. Fabricated using qualitative grades of EN 45 A steel rounds these are short-pinned and later compressed to exact size as per the requirement. Our professionals take utmost care while designing these steel springs to enable optimum performance of the machines in which they are used. We are engaged in offering our clients a wide range of Conical Springs or Tapered Springs which are manufactured in compliance with international quality standards. Our offered range of springs is widely used in various industries such as Automobile Industry and Electrical Devices Manufacturing Industry. 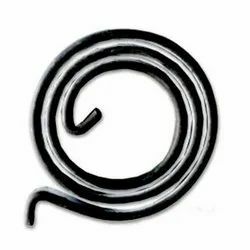 We are known for manufacturing, wholesaler and exporter a wide range of Micro Springs, manufactured using latest engineering techniques and high grade material. 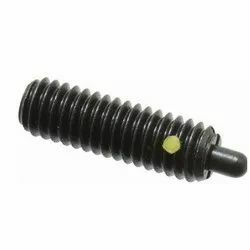 These springs possess excellent durability and strength, for which these are highly appreciated in the market. We adhere to international quality standards while manufacturing these springs and also offer customization to fit the specific requirements of our clients. Our precision-engineered Spiral Springs are available in various sizes as per the requirement of the application areas. The spiral springs that we offer are widely used in drilling machine, measuring tapes and weighing machine. 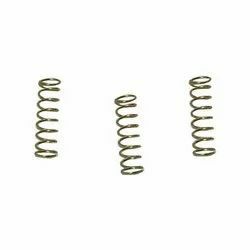 This type of spring is used in generally reverse and forward working application. These are manufactured using optimum quality raw material to meet the demanding machine requirements. We offer superior grade Spring Plates which are mount to the render of any leaf spring. These spring plates are construct by us from the high rate materials, which are sourced by us from the certified vendors. We manufacture these spring plates in veracious shape to meet the process needs of different industrial clients. We are offering Flat Springs to our valuable clients. Looking for Industrial Springs ?